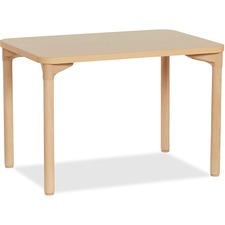 ECR4KIDS 20" Leg Play/Work Wood Table - Maple, Thermofused Laminate (TFL) Rectangle Top - 36" Table - Welcome to The Office City! 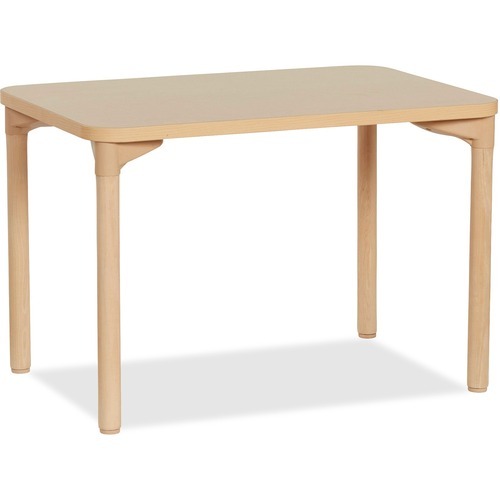 All-purpose table provides a versatile and fun work space for a variety of classroom activities. The attractive maple top features a heat-sealed, thermo-fused banding to guard against germ growth and provide a cohesive look that will hold up against everyday use. The double-sided, laminate tabletop is easy to clean and sanitize between science experiments and snack time.